Congratulations! Mass Bay Girls Lacrosse League would like to honor your commitment to our mission as well as your dedication to making your players’ lacrosse experience the best that it can be. You have ensured that your coaches are trained in both teaching the skills of lacrosse and delivering player training with a positive approach. Your town complied with state, federal, and league requirements. And you have made safety and fun a priority in all aspects of the game. 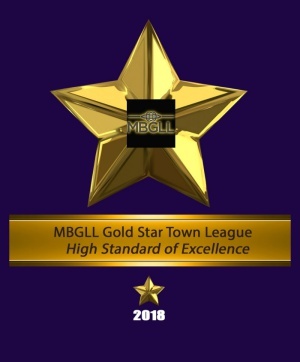 Attached to this email you will find a Gold Star Program logo for MBGLL’s 2018 girls’ youth lacrosse season. Please post this on your web site to let players, parents, and other town programs know that you are running a top-notch lacrosse league in your town – one that everyone should aspire to.